1 year warranty for car battery. 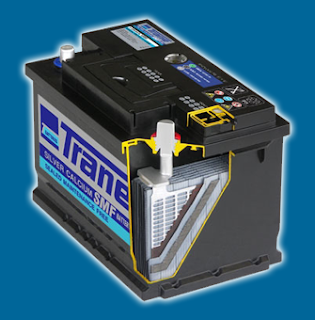 Trane batteries are exported to 20 countries, largest of which is Germany where 400,000 battteries are exported per year. Other European countries to which Trane batteries are exported are England, Netherlands, Greece, Sweden, Finland, Estonia and Latvia. Larger representing clients being Volvo, BMW, Peugeot, Mercedes Benz and Chrysler.